Teacher applicants must be trained in classical ballet and have professional experience as both a dancer and teacher. Must be interested in teaching students in a broad range of ages and levels. 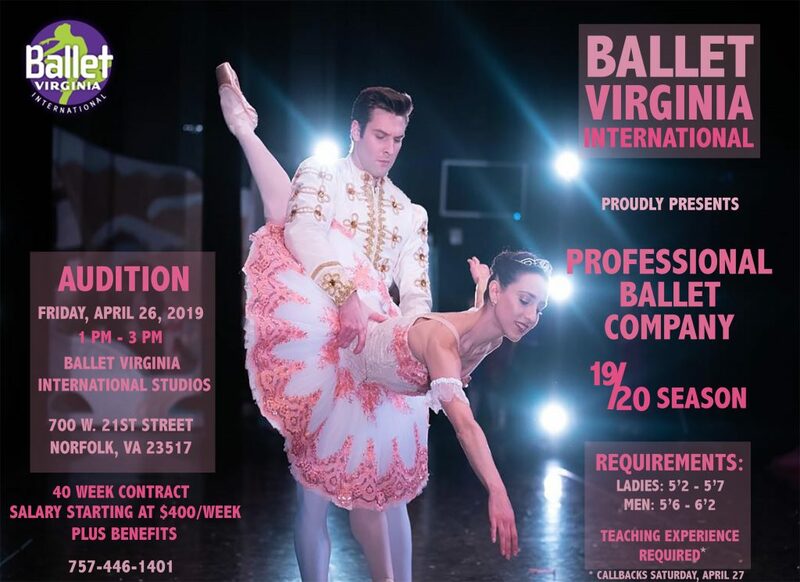 Please email balletvirginia@gmail.com with an attached PDF of your resume. Dancer applicants should be dancing on a professional classical ballet level with the capabilities of performing soloist and principal roles as guest artists. Auditions for season 19/20 are April 26, 2019.